The GAA's "terrible" decision to refuse permission for a charity match to be played at Páirc Uí Chaoimh has prompted renewed calls to rewrite the rules regarding use of the Association's grounds. 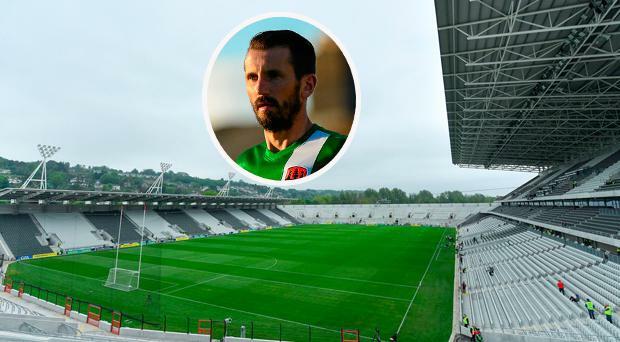 However, any proposed change may not take place until 2020 which will be too late to facilitate events like the Cork benefit game in aid of the family of the late Liam Miller on September 25. It's the latest venue row to affect the GAA this summer after Kildare's 'Newbridge or nowhere' stance led to a stand-off ahead of a qualifier against Mayo. Any motion to change the rules regarding the use of GAA property can't be submitted to Congress again until 2020. Noel Walsh, one of the primary movers behind the opening of Croke Park to other sports in 2005 and who has sought to have decisions on other inter-county grounds placed in the hands of Central Council instead of Congress, said yesterday that he would seek to have a similar motion submitted by his club St Joseph's Miltown-Malbay for consideration at Clare convention later this year with a view to going to Congress in 2019. The Liam Miller tribute match, between high-profile former players from Ireland, Celtic and Manchester United, was turned away because of the GAA's Rule 5.1 (a) that prohibits use of property for any games other than those "controlled by the Association" or "not in conflict with the aims and objects of the Association." The game will take place at the 7,000-capacity Turner's Cross in Cork city though organisers had sought Páirc Uí Chaoimh which can hold 45,000. However, a motion from Walsh's club, brought to Congress 2016 by Clare, calling for the request for use of other county grounds, like Croke Park, to be determined by Central Council, got just 23pc support. Under GAA rule, any motion that fails to get one-third support can't be put forward again for a further three years. That effectively means that it can't be revisited until February 2020. Walsh described the refusal as "terrible" and hoped it would "inspire counties to do the decent thing". "It will happen eventually. It's only procrastinating, delaying the whole thing. What the hell is wrong with it?" he said. Walsh said his understanding was that some of the top grounds were open anyway because of the 2013 motion carried by 93pc to permit the 2023 Rugby World Cup games to be played, if Ireland were tournament hosts. However, that motion was specific to those games only. Clare's 2016 motion sought to "allow county grounds to be used by other sports in line with the decisions in relation to Croke Park 11 years ago and the Rugby World Cup in 2013 - providing Central Council authorises the use."